Shopko, already weighed down by a heavy debt load due to a leveraged buyout, said competition against the national big box chains and consolidation in the pharmacy industry both played a role in its trip to bankruptcy court. But in an affidavit in Nebraska’s bankruptcy court, Russell Steinhorst, CEO, blamed the retailer’s eroding operating performance largely on the dramatic shifts across retailer in recent years to online selling. Finally, Steinhorst wrote that the consolidation in the pharmacy industry has led to a lack of pricing power for retail pharmacies of Shopko’s size. These market developments, compounded with an underdeveloped online presence and wholesale platform and certain above-market lease obligations, have hurt Shopko’s’ sales and earnings. EBITDA declined 21 percent to $35.6 million in 2018 from $45.2 million in 2017. The company has been long working with a heavy debt load brought on by its leveraged buy-out led by its owner, Sun Capital Partners. Sun Capital took Shopko private in 2005. The bankruptcy filing listed assets of less than $1 billion and liabilities between $1 billion and $10 billion. Firms in the active-lifestyle industry landing on the top-20 unsecured creditors list included Payless Shoesource, owed $1.58 million; HanesBrands, $1.12 million; Coleman, $998,964; and Adidas, $835,465. In 1999, Shopko signed a contract with Payless ShoeSource to lease floorspace to the shoe chain within Shopko stores. Because of its remote locations, Shopko is able to carry some national brands that discount competitors such as Walmart and Target don’t carry. For instance, its athletic footwear assortment includes Adidas, Asics, Avia, Fila, New Balance, Puma and Skechers. Nike is available at select stores but not online. In the bankruptcy process, Shopko plans to auction off the rest of its pharmacy business after selling 42 pharmacy locations to Kroger in December. It then plans to find an equity sponsor to reorganize or outright sell its non-pharmacy stores. The goal is to exit bankruptcy proceedings by mid-April. Shopko secured $480 million in debtor-in-possession financing from a group of lenders led by Wells Fargo Bank to support the bankruptcy process. The financing will allow Shopko to continue to pay employees, vendors and suppliers. The retailer, headquartered near Green Bay, WI, plans to close 38 of its 367 stores. Last month, it announced plans to close about 40. The list of stores closing is HERE. The company’s stores are located in 26 states in the Central, Western and Pacific Northwest regions of the U.S. In the affidavit, Steinhorst noted that he has been CEO since November 2017 and previously was CFO and SVP of finance. He joined Shopko in 2009 as VP and controller. Steinhorst wrote that Shopko retained advisors to address its liquidity issues and took several steps to improve its balance sheet beginning in late 2017. The steps included efforts to right-size its debt and lease obligations, and pursuing deleveraging and financing opportunities. One success was obtaining additional financing from Spirit Realty L.P., its primary landlord, in January 2018. 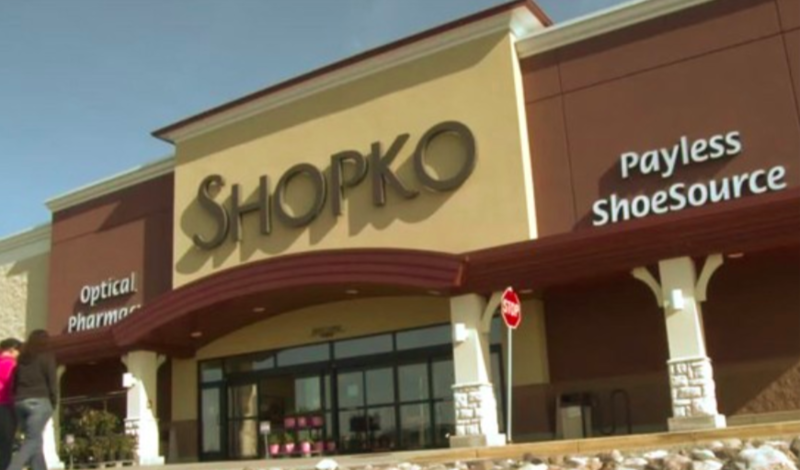 He said that over the past year and a half, Shopko also began implementing real-estate rationalization measures and other operational efficiency initiatives and developing its wholesale business and online sales presence. After an initial marketing process for the business in 2017 led by Houlihan Lokey, Shopko determined that it would have greater value if it exited the pharmacy business. Another comprehensive marketing process was commenced in mid-2018 for both a sale of its entire business as well as a separate process for the sale of its pharmacy assets. As a result of these efforts, Shopko was able to close approximately $95 million in transactions in the months leading up to filing for bankruptcy. Steinhorst said Shopko intends to finish these marketing efforts post-petition in an expedited auction and sale of its remaining pharmacy assets. Shopko also began the process of closing unprofitable locations in late 2018, and intends to complete that process in bankruptcy proceedings. In bankruptcy the company plans to either undergo a reorganization supported by a sponsor or sell the company. Steinhorst said Shopko has been marketing its non-pharmacy assets for several months and filed a motion seeking approval of bidding procedures as part of bankruptcy proceedings to continue those efforts. “The proposed DIP Facility, the Plan, and the related bidding procedures all are designed to facilitate a process that will maximize value, the likelihood of a going-concern transaction for the benefit of stakeholders enterprise-wide, including thousands of jobs, and the confirmation of the Plan, all within three months,” wrote Steinhorst. Shopko’s existing secured lenders have agreed to provide $50 million of liquidity through the DIP Facility. If Shopko is able to secure an acceptable sponsor for its restructuring plan, certain first-out secured lenders, led by Wells Fargo, have indicated that they would be willing to provide an exit facility that will satisfy all remaining first-out DIP Facility claims and Shopko’s last-out secured lenders have agreed to equitize its DIP Facility claims. On or before April 15, Shopko will have emerged from these chapter 11 cases. Founded in 1962, Shopko operates more than 360 stores in 26 states throughout the Central, Western and Pacific Northwest regions. Retail formats include 126 Shopko stores, providing quality name-brand merchandise, great values, pharmacy and optical services in small to mid-sized cities; five Shopko Express Rx stores, a convenient neighborhood drugstore concept; six Shopko Pharmacy locations; four Shopko Optical locations and 234 Shopko Hometown stores, a smaller concept store developed to meet the needs of smaller communities. PreviousICR Recap: Which Brands Won Over Investors?